The tales of Oda Nobunaga have been told in various forms throughout the years thought he most common theme tends to either feature the historical characters being female instead of male or mixing historical elements in with fantasy mech action. Nobunaga The Fool happens to be the latter with the extra twist of bringing additional historical names from Western history into the mix. Now that the first half of the series has been released, is this mixture of Eastern and Western history worth watching? Set in a world where the planet has been split into the Eastern Star and Western Star, both planets derive power from the Dragon Veins that flow between the worlds. While the Western star flourishes under the rule of King Arthur in a European setting, the Eastern Star is filled with battles and wars between nations as the Japanese based world finds itself stuck in the Warring States Era of Japanese history. Long after the deaths of their original bodies, Jeanne D’Arc and Oda Nobunaga have found themselves reborn on each of these worlds. 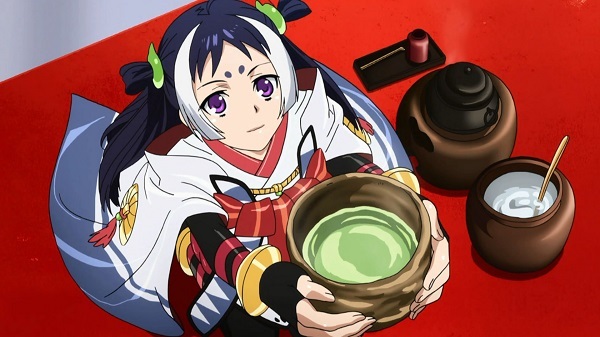 Ever since she was young Jeanne has been seemingly cursed with the ability to see events that will happen in the future which has led to her being called a demon by her village while Nobunaga’s brash nature has led to him being called a foo and largely seen as a nuisance by the rest of his clansmen outside of his two friends Mitsuhide and Hideyoshi. One day Jeanne witnesses a vision of the “Savior King” who appears to be living on the Eastern Planet and with the help of the genius war armor (mech suit) developer and inventor Leonardo Da Vinci who also happens to tell fortunes with tarot cards, she manages to reach the Eastern Planet with a freshly developed war armor where the pair just so happen to crash land near Nobunaga’s location after he laments his uselessness and vows to change the world after witnessing his clans’ soldiers be annihilated by the Takeda war armors. 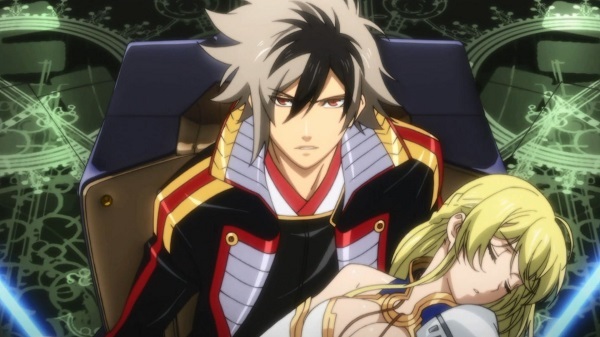 With Nobunaga possibly being the one in Jeanne’s visions, especially after he manages to power up the war armor and tap into its potential, the pair swear allegiance to Nobunaga where they quickly find themselves embroiled in the Eastern Stars wars and political issues within the Oda clan. To make matters worse, those from the Western Star are seeking to invade the East and bring the planets under one rule, with Julius Caesar being the first one to arrive in a series that spends plenty of time focusing on action and putting a few twists on historical events. Now if all of the historical name dropping didn’t give you the hint, Nobunaga The Fool is something of a mess as the series. The idea of bringing together various historical figures from European history and dropping them into the Warring States Era only with large mechs capable of unleashing special elemental powers if the user happens to be the owner of a “sacred treasure” at the same time is nonsensical at best and perhaps if handled by competent enough writers, may turn out okay. However if these first thirteen episodes are anything to go by, the series unfortunately won’t deliver in any satisfying way. 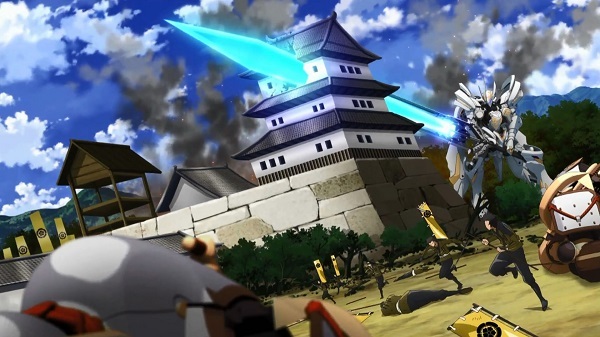 Those who have seen anything Oda Nobunaga related in the past or know their history will find most of the events that transpire to be entirely predictable as the series retells numerous events from Nobunaga’s life with different twists, such as his actions at his father’s funeral, the building of a castle overnight to fool an enemy, and more. 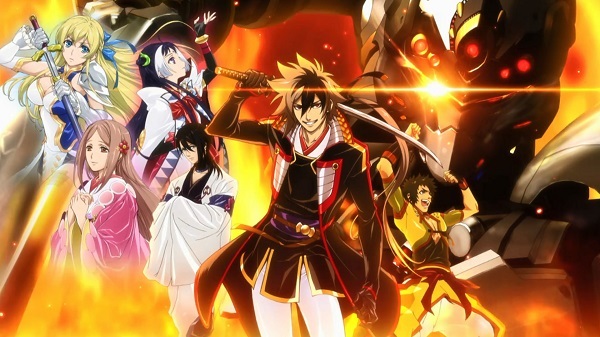 At the times that it comes together properly, Nobunaga The Fool does deliver on some entertaining sequences and a handful of the characters do come off as likable. 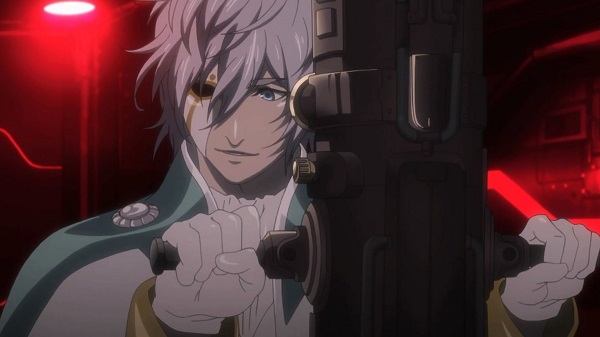 Nobunaga does develop slightly over the course of the events that play out, most of them being tragic losses, Himiko plays a believable character who actually cares for Nobunaga, and both Da Vinci and Mitsuhide being interesting to watch whenever they are on screen or planning something though the majority of the cast so far gives viewers very little reason to care about them, such as Jeanne who is used for fan-service and jokes more often than she plays a real role in the story so far. By attempting to mix together so many different historical, mystical, and technological elements together it feels like the writers were attempting to appeal to everyone at once and only created a mess that rarely comes together to deliver a worthwhile episode throughout these first thirteen. Despite the numerous flaws there are certain elements of intrigue that rise up from time to time, such as the political maneuvering of Mitsuhide and a few of the secrets that aren’t easily predicted by those who know anything about the history of the characters. Perhaps the numerous developments throughout this half will pay off in some way during the second half of the series, or so we can only hope. Despite being a series that focuses on mech action with very few combat sequences not taking place in war armor, one would think that the focus of the animation studio would be to create memorable looking mech designs. Unfortunately that is far from the case with Nobunaga The Fool as many of the mechs are as bland as they come with even Nobunaga’s “The Fool” war armor barely standing out in any substantial way. This lack of quality transfers into the combat sequences as well since most battles tend to be flashy with very little actual movement. The designs of the characters are at least somewhat unique with Himiko appearing rather unique and a number of the Western characters standing out quite a bit from the Eastern counterparts, though don’t expect too much excitement here as most of the animation remains rather simplistic with little motion outside of a few specific events meant to give some scenes some extra drama. 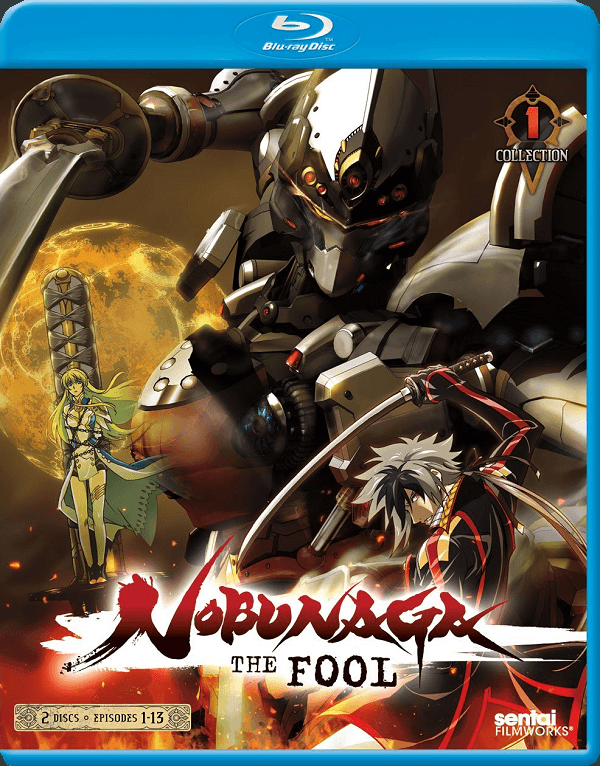 Nobunaga The Fool Collection 1 has been released by Sentai Filmworks with an English dub track to accompany the original Japanese voice track and the quality is unfortunately fairly hit and miss. While some characters tend to sound okay, many of Nobunaga’s lines sound absolutely terrible due to localization efforts and the characters often inserting various Italian and French words into their dialogue (accompanied by translation notes) feels a bit desperate at times though at least all of the insert songs are still sung by the original Japanese voice actresses. The background music is rather suitable for a series that finds itself sitting during the Warring States Era and as mentioned before, a number of insert songs do appear from time to time which is a nice touch. The opening theme for the first half “Fool the World” by Minori Chihara is quite enjoyable and fits the series well while the ending theme “Axis” by Stereo Dive Foundation is as generic as they come. As far as bonus content goes; this release is rather simplistic as it only features textless versions of the opening and ending animation accompanied by trailers for other Sentai Filmworks releases. 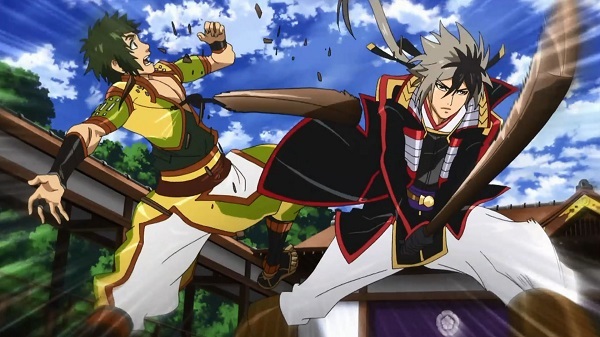 Nobunaga The Fool is a series where the writers tried to cram every element possible into a series without thinking of how to develop anything properly. As a result, these first thirteen episodes feel like a mess that is being put together in an effort to create an entertaining series that occasionally succeeds in certain elements. Of course since these are only the first thirteen episodes, perhaps the second half will turn into something grand but unfortunately the first half doesn’t reflect well on the future.